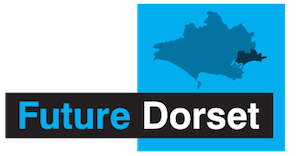 “I announced that I’m minded to support the plan for a pair of unitary authorities in Dorset. “…Importantly for me, it’s a decision that was supported by two-thirds of Dorset residents. “By the Dorset Local Enterprise Partnership. “By the vast majority of local businesses. “By 6 of the 9 local councils. “By most of the county’s MPs. “I’ve always been clear that any change to council structures should not be dreamed up or imposed by Whitehall, but led by local councils and local people. “And that’s exactly what we’ve seen in Dorset. “Yes, some people disagree with the move. That’s what happens in a democracy. “And that’s why, when I announced that I was minded to support the change, I made it very clear that further steps are needed to try to secure local consent before a final decision is made. Last year I told you that I wasn’t going to force all of you to go unitary. That’s still very much the case. He also said: “There was a time when most peoples’ lives extended no further than a day’s walk from their home, but such days are far behind us. Saying too: “Well, if you have an idea for making local government work better, one that serves the interests of local people, then please come and tell me about it.